The shooting in Newtown, Connecticut caused shock and grief across this country that lingers – as it should – into this new year. 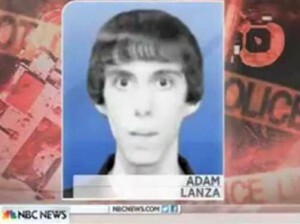 We may never know what caused Adam Lanza to take those horrific actions. What is possible to determine, based on research, are the educational practices that can help identify and support youth with a variety of emotional and behavioral disabilities. Although his diagnosis is unclear, reports from Newtown indicate that Lanza was isolated, rarely left his home and was clearly experiencing psychological distress. Many students with emotional and behavioral disabilities – which can include depression, anxiety, ADHD, bipolar disorder, post-traumatic stress disorder and many other diagnoses – feel disconnected from their schools and communities. 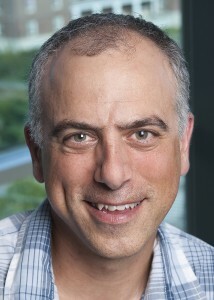 Lanza’s violence is the exception, not the rule. Students with emotional and behavioral disabilities are more likely to be victims of violent crime than perpetrators. There is a far more widespread crisis for youth in the United States with emotional and behavioral disabilities: low rates of graduation and high rates of incarceration. Less than 50 percent of students with emotional and behavioral disabilities graduate from high school, and these students are twice as likely as students with other types of disabilities to live in a halfway house, drug treatment center, or on the street after leaving school. A University of New Hampshire study found that 73 percent of the incarcerated youth at the Sununu Youth Services Center in Manchester, NH, had a diagnosed disability. Effective school-based interventions can ease the pain of these students, raise graduation rates and help students connect with their community through mentors and peer groups. Unfortunately, many schools still focus primarily on punitive discipline policies like “zero-tolerance,” which emphasizes the use of suspension and expulsion, and neglect to examine the root causes of problem behavior. Students who are suspended or expelled often drop out of school, which frequently leads to juvenile delinquency, arrests and prison. Zero-tolerance policies do little to improve school safety and disproportionately impact students with emotional and behavioral disabilities as well as students of color. These grim statistics for students with emotional and behavioral disabilities fueled my desire to create a film that could be a resource to help educators, families and mental health professionals better understand and serve children with behavioral and emotional challenges. The film Who Cares About Kelsey? focuses on Somersworth (NH) High School student Kelsey Carroll. When Kelsey entered high school, she was a more likely candidate for the juvenile justice system than graduation. She had a diagnosis of ADHD and carried the emotional scars of homelessness and substance abuse, along with actual scars of self-mutilation. As a freshman, she didn’t earn a single academic credit and was suspended for dealing drugs. Many wrote her off as a “problem kid” – destined for drug addiction and jail. During Kelsey’s freshman year (2006), Somersworth High School had one of the lowest graduation rates in the state (nearly 1 in 10 students dropped out), and discipline issues were rampant. That year, the school implemented a proven approach called Positive Behavioral Interventions and Supports (PBIS) to develop a concise outline of the behaviors that were expected of all students, establish clear guidelines for addressing discipline problems and create systems for identifying students that needed more intensive supports. For students like Kelsey who were at the greatest risk of dropping out of school, Somersworth also implemented a youth-directed planning model called RENEW (Rehabilitation for Empowerment, Natural Supports, Education, & Work). The results were dramatic: by 2010, Somersworth High reduced its dropout rate by 75 percent, and behavior problems were down by 65 percent. Who Cares About Kelsey? is the story of Kelsey’s transformation from a defiant and disruptive high school student to a motivated and self-confident young woman who is living on her own and attending college. It’s too late to reach Adam Lanza, who serves as a horrific example of a gap in our society’s ability to effectively identify youth in crisis, and intervene with services and supports. But it’s not too late to reach and support more than two million other young people in the United States with emotional and behavioral disabilities. Hi Dan – I think you are brave to take this on. I don’t know if you remember me – we spoke a few times about trying to bring you to NJ to show and discuss your film about Samuel and your family – no additional dollars! I keep up with you, as my good friend in NH, just sent me an article about Samuel getting a new dog! Great! t normal even if there was a divorce. We have seen this in the other cases as well – it is almost as if the families don’t exist. I am not blaming the family but family dynamics must not be overlooked. There needs to be connections between child, family and school – because the school cannot act without family involvement. Some schools deal with the issues by suspending the student or by sending the kids to special ed schools, but that doesn’t always solve the problem either. In NJ there was a case and I may not be remembering all the facts correctly that resulted in Megan’s Law where a boy with significant mental health problems killed a little girl, Megan, who I think was going door to door selling cookies or something…Anyway, I knew one of the reporters on the case and it was clear that the family had worked with the school, mental health system and been before a judge and had pleaded for the judge to do something – the judge told the boy to ” listen to his parents” and for them to take him home…unfortunately the day their son killed Megan, they had gone out – and left him at home – i think they had actually gone gambling in altantic city… they had a right to leave the house once and awhile right? I felt the reporting on this case never really commented on the judge”s ill informed ruling nor the lack of services for a child with significant mental health issues and history. the family, in this case, had tried to get their son help and in the end it didn’t make a difference. the laws on mental health – has focused more on individual rights vs. concerns of the community – individual needs to be “clear danger to self and/or others” and that can sometimes be hard to prove…In years past I have worked with families who were desperate for help and found the system did not support them. Sometimes they would just give up. also mental health services/insurance have never been equal with medical – you know first hand how hard it is to get services for a child with medical needs, it is much harder for a child/adult with mental health issues…Also the quality of the personnel doing some of the work is worrisome – this is a very tough population to work with and the skills needed to do this work are extensive, including training in family therapy. I have often felt we have left some of the least experienced workers to deal with the most difficult situations. The resources for children/adults with mental health issues are very limited – I was starting my career when they were closing all the long term mental health facilities. With the advent of medications, it was felt that it was more humane and cost effective to have people live in the community – that is a given – locking people up for years was never acceptable. However, the issue of compliance – who takes medication (with side effects) and who will go for mental health support – individual, group, day hosptial, etc is an issue as is the funding to support these programs. This is a huge issue and I hope that the tragedy in Conn will finally wake up folks to do something. And I haven’t even mentioned the influence in some situations impacted by poverty, lack of access to adequate insurance resources, poor schools or gangs. Best of Luck and Who Cares About Kelsey was also fabulous – I saw it in Washington this summer and attended the workshop you and Kelsey did…I am wishing her well in her new college venture – she certainly has the personal experience and resilence to do well.